Algerian ivy ‘Marengo glory’ (Hedera algeriensis 'Gloire De Marengo'): growing, planting, caring. A variegated - but slightly frost-sensitive - cultivar of Algerian ivy. 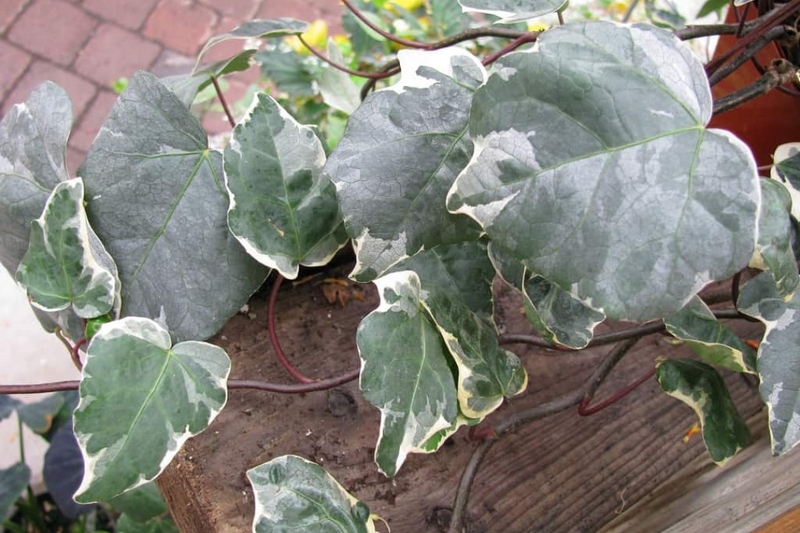 'Marengo glory’ is a variegated cultivar of Hedera algeriensis, the Algerian ivy, a species of evergreen ivy native to the North African coast. This ivy is easy to recognize, it has green leaves lined with cream, fairly lobed. Plant your potted ivy in a mix of potting soil and loam. In open soil, plant it in a fertile soil, rich in humus, alkaline, fresh and well drained. Variegated varieties do not appreciate full sun. In any case, check the development of the cultivar you plant, because common ivy, for example, can reach 10 m in every directions ... which is not suitable for every wall. Ivy is a solid plant that fears competition, but you can mulch it in the first year. Watering is only necessary for potted plants, and the first year in the ground. Inside, let the soil dry between each watering. If your ivy becomes too invasive, you can prune outgoing branches, preferably in March.